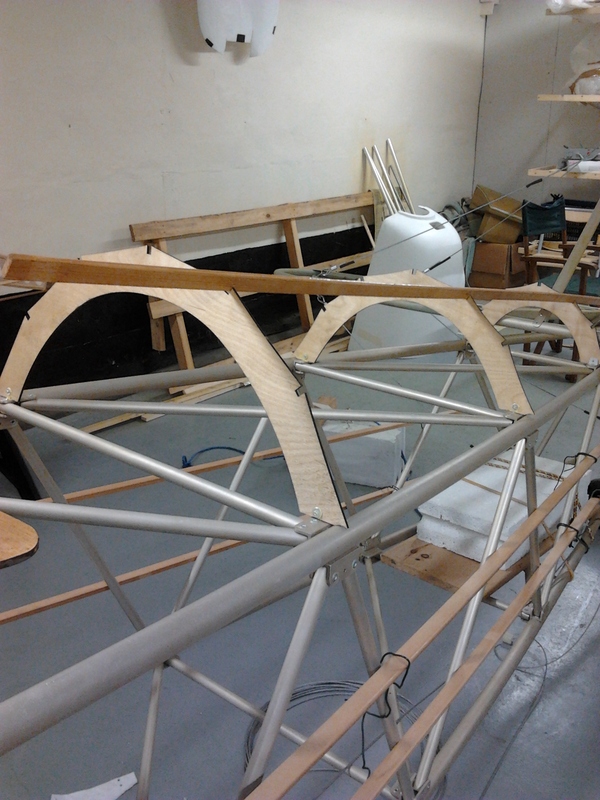 The turtle deck consists of some pre jigged ply former tops (3) and some beech strips. 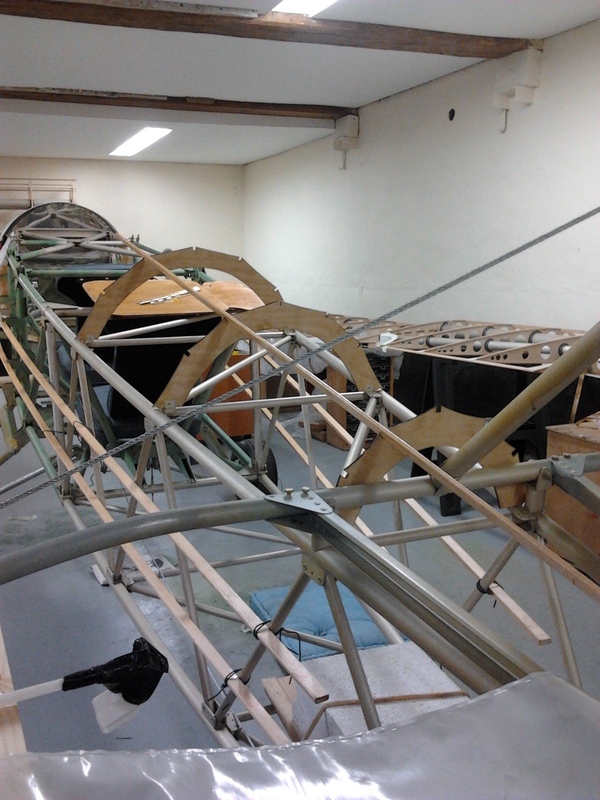 The ply formers are riveted in position with small alloy angle brackets and the 5 beech stringers change the squared flat top in readiness for a more round finish which will eventually be covered in Oratex. 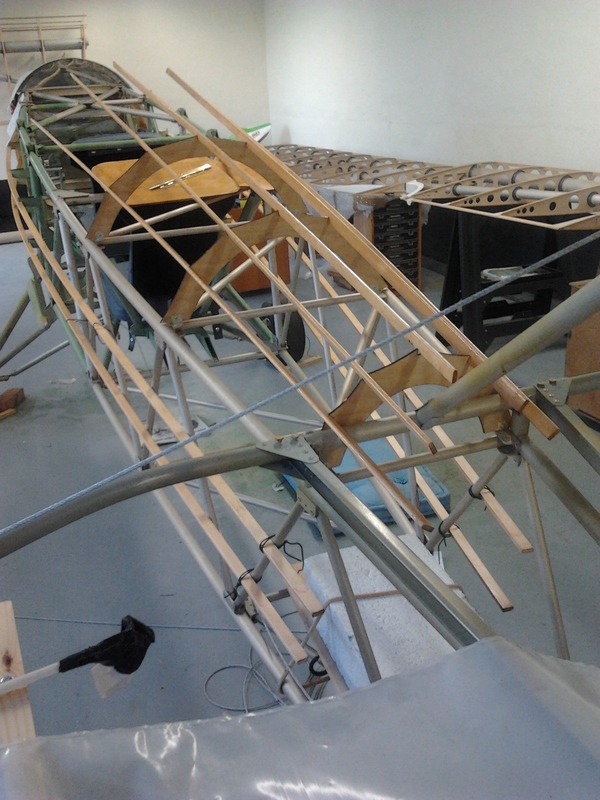 The beech will need to be trimmed so that it tails off at the tailplane and buts up to mate with the moulded cockpit surrounds. The headrest then fits in the same way with small angled brackets riveted to the beech top stringers.